This workshop will offer concrete strategies for writing when the only teacher available is a book. We will explore the ways “reading to write” can result in new poems. During the week we will look at how an assortment of poems “shadow,” imitate, and are in conversation with other poems and other forms (music, film, journalism). Most importantly, inventive imitations and transformations will be generated in response to the reading. Come prepared to generate and share work written in class. In workshops poems will be discussed not for their merit as imitations, but for their originality and potential. No advance submission is necessary. TERRANCE HAYES is a 2014 MacArthur Fellow. 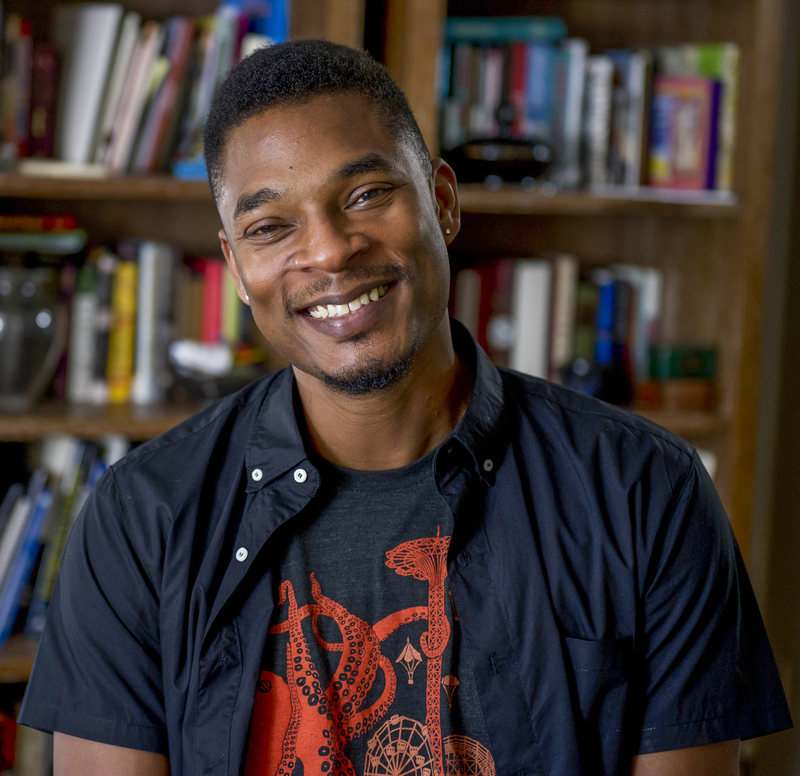 Hayes’s poetry collections include American Sonnets for My Past and Future Assassin (2018), a finalist for the National Book Award, How To Be Drawn (Penguin 2015), a finalist for the 2015 National Book Award, the 2016 National Book Critics Circle Award, and received the 2016 NAACP Image Award for Poetry. His first book, Muscular Music (Tia Chucha Press, 1999) won both a Whiting Writers Award and the Kate Tufts Discovery Award. His second book, Hip Logic (Penguin 2002), was a National Poetry Series selection and a finalist for both the Los Angeles Time Book Award and the James Laughlin Award from the Academy of American Poets. Wind In a Box (Penguin 2006), a Hurston-Wright Legacy Award finalist, was named one of the best books of 2006 by Publishers Weekly. Hayes was born in Columbia, South Carolina, educated at Coker College where he studied painting and English and was an Academic All-American on the men’s basketball team. He received an MFA from the University of Pittsburgh, and taught in Japan, Columbus, Ohio, and New Orleans. He returned to Pittsburgh where he taught for twelve years at Carnegie Mellon University. He is now professor of English at the University of Pittsburgh.